Ensuring your retail premises are kept in top condition is critically important for your business. We understand that just a few days of closure can seriously impact your bottom line. That’s why we undertake to carry out all maintenance and repair work swiftly and to the highest standard. Thanks to our extensive retail industry knowledge, at R&BS we know exactly what to do to meet your retail building maintenance and repair needs. We’ve dealt with everything from structural rehabilitation of retail premises to installing waterproof membranes for retail roof repairs, right across New South Wales and Queensland. Each member of our team is highly experienced and has the specific knowledge needed to successfully complete your retail building maintenance project. 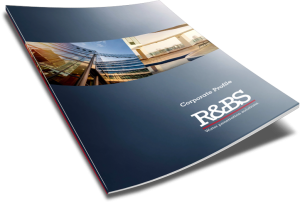 Whatever your building upkeep requirements are – from external building rehabilitation to any necessary interior work – R&BS is equipped to help. Thanks to our tailored retail building maintenance services, it doesn’t matter whether you want an isolated issue fixed, such as concrete restoration or expansion joints, or a complete building overhaul, we’ll have a plan to make them happen. Once your project gets underway, we will always have a supervisor on site to make sure all maintenance work goes without a hitch, ensuring your retail premises are back up and running as soon as possible. We also appreciate that budget is a big consideration for retail building repairs. That’s why we’ll undertake to work within your budgetary parameters before we begin work. For a customised proposal for your retail business or premises, call R&BS now on 1800 550 037 or fill out the contact form below for a fast response.